The ICP / GOST First Photo Book Award aims to promote and support the work of previously unpublished photographers and artists through the production of a first book by the ICP / GOST imprint. The winner will have their first book designed, edited, printed and published by the ICP / GOST imprint, including distribution, press and promotion with the opportunity to exhibit the work at a venue to be confirmed. The winner also receives a portion of personal copies of the book from the first print run. The award is open to artists of any age, working in the medium of photography whose work has yet to be published in book form by a mainstream publisher. The Call for Entries is now open and will run until the 2 September 2019. The judges will be announced shortly and the shortlist and winner will be announced in the fall. There is an early bird entry fee of $25 before the 31 May 2019. The entry fee after this date will be $35. 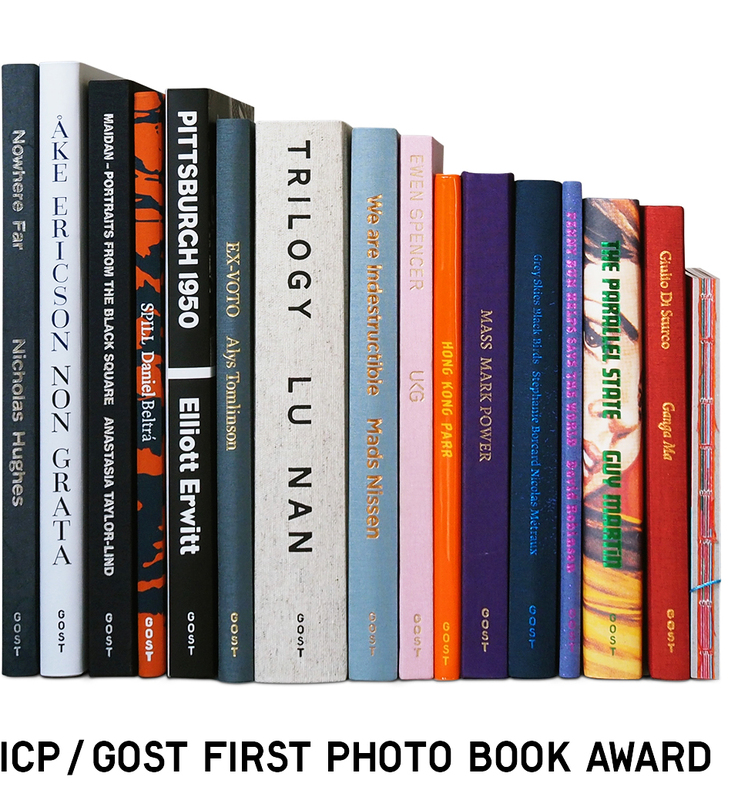 Sign up to hear more about the ICP / GOST First Photo Book Award. Founded in 2013, GOST Books is an independent visual arts and photography publisher based in London. We pride ourselves on an uncategorisable output of diverse subject matter and design: from a chronicle of seven men claiming to be the Messiah; a study of Turkish soap operas; art works inspired by the largest breeding grounds for flamingos in the Southern Hemisphere; archive photographs from the Mexico City police department; to portraits of winners of state-run competitions in Belarus. GOST aims to not only provide a platform for the work of emerging artists but contribute to print legacies of masters in the medium. The International Center of Photography (ICP) is the world’s leading institution dedicated to photography and visual culture. Cornell Capa founded ICP in 1974 to preserve the legacy of “concerned photography”—the creation of socially and politically-minded images that have the potential to educate and change the world— and the center’s mission endures today, even as the photographic medium and imagemaking practices have evolved. Through its exhibitions, school, public programs, and community outreach, ICP offers an open forum for dialogue about the role that photographs, videos, and new media play in our society. To date, it has presented more than 700 exhibitions and offered thousands of classes at every level. ICP brings together photographers, artists, students, and scholars to create and interpret the realm of the image. Here, members of this unique community are encouraged to explore photography and visual culture as mediums of empowerment and as catalysts for wide-reaching social change. Visit icp.org to learn more.